The school board agreed during the executive session to give Maxwell $790,000 over two fiscal years plus his salary for the next 45 days. The board voted to approve the severance package. 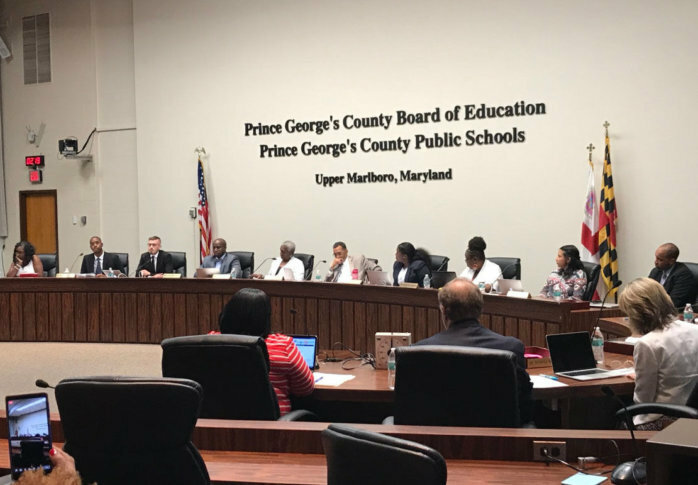 WASHINGTON — Amid the tumult over the severance package of the outgoing Prince George’s County schools CEO, the school board voted to settle the three years left of his contract. The board approved Kevin Maxwell’s severance package that was agreed upon during the executive session, and the embattled former school chief will receive around $800,000. Maxwell’s official last day of work was Thursday, July 12. The board settled the agreement based on legal counsel’s advice, saying that the settlement was in the public’s best interest and will save money by avoiding prolonged litigation, a news release said. It will also allow them to refocus efforts on students, the release said. Board member Donna Wiseman said that no matter what happened during Maxwell’s tenure, the school system needs to move on. Among those on the board who opposed the payout was Edward Burroughs, who said that he did not support wasting tax dollars that could have gone to the classroom or school system. Teachers union President Theresa Dudley described Maxwell’s compensation as a “golden parachute,” and called for steps to reopen “earnest discussions” to restore funds to educators. Monica Goldson will serve as acting CEO. Goldson has been the Deputy Superintendent of Teaching and Learning since 2016. County Executive Rushern Baker will announce the interim CEO to serve for the duration of the school year in the coming weeks, the release said. The meeting was filled with interruptions and ended with shouts and chatter over the decision. Maxwell announced that he was stepping down as chief executive officer in May. The move comes in the wake of a number of scandals in the school department, including the discovery of unauthorized raises to staff members, a hidden camera found in a school’s administrative office and charges of grade manipulation caused by pressure on administrators to hit graduation goals. WTOP’s Michelle Basch contributed to this report.